Data on forged prescriptions in Sweden in 1982–1986 were studied as an indicator in an epidemiological survey of medication abuse. The annual number of prescription forgeries doubled during the 5-year period. Psychotropic drugs accounted for 62% and analgesics for 25% of all forgeries. Benzodiazepines were the major single drug group, comprising 52% of all forgeries during the period. The major benzodiazepines on the market in Sweden (diazepam, oxazepam, nitrazepam and flunitrazepam) were the subject of largest number of forgeries. When calculated in relation to the utilization (either total sales or the number of prescriptions), the analgesics codeine, pentazocine and ketobemidone were clearly at the head of the list, suggesting greater abuse liability of these drugs. 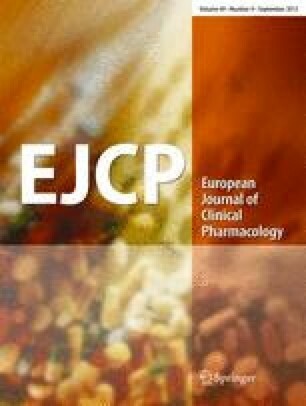 It is suggested that the data on forged prescriptions can be used as a “signalling mechanism” in epidemiological surveillance of medication abuse, aimed at detecting changes in the prevalence as well as in the pattern of abuse.